Fee, all amounts paid are non-refundable. 1. Incorporation. The recitals set forth above, and all exhibits and schedules specifically referred to are incorporated with the same force and effect as though fully set forth; and shall all together constitute this Agreement. 2.1. General Terms: For the defined Fee, Cosmetic Perks shall permit Member access to its Provider Network to find Providers who have agreed to offer discounted Services to Cosmetic Perks Members. 2.2. 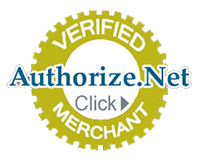 Payment Options: After reviewing the terms and conditions of this Agreement Member shall select one (1) of the following applicable payment methods and amounts on the payment selection page. The amount owed based on the selected option shall be referred to herein as “Fee”. 2.3. “Employer Group Enrollment”: This option enables the Member access to the Cosmetic Perks Network upon Member entering an Employer Code obtained from the Member’s employer. 2.4. “Discounted Annual Individual Fee”: This option enables the Member to pay for access to the Cosmetic Perks Network by paying in-full at the time of enrollment for twelve (12) months of access to the Cosmetic Perks Network. By selecting this option, Member acknowledges that in consideration for receiving the Discounted Annual Fee, all amounts paid are non-refundable. 2.5. “Pay-As-You-Go Individual Fee”: This option enables the Member to make equal monthly payments over the course of the Agreement. Member acknowledges that each monthly payment is non-REFUNDABLE. 3.1. Effective Date and Term: This Agreement shall be effective and shall govern the rights and obligations of the Parties from and after the date of this Agreement for a period of twelve (12) months (“Term”). 3.2. Automatic Renewal: This Agreement shall automatically renew for successive twelve (12) months periods, unless either Party shall cancel by giving Notice as provided herein. 3.3. Express Consent for Reoccurring Charges: If the Member enrolls under a Section 2.2.2 or 2.2.3 Individual Fee option, Member hereby consents to the automatic renewal of this Agreement and payment of the Fee, to be made in the same manner selected in Section 2.2.2 or 2.2.3. As such, Member shall be charged as per the payment structure originally selected by the Member, i.e. the Discounted Annual Fee at one time, or the monthly Pay-As-You-go Fee. 4. Nature of the Relationship. Cosmetic Perks is a not a healthcare provider. It has no control over the exercise of any healthcare Provider’s independent medical judgement and the manner in which cosmetic services are provided and delivered. Provider is not an agent or representative of Cosmetic Perks and Cosmetic Perks makes no representations as to Provider’s medical skills or likely outcomes of services rendered or whether Provider has insurance coverage. The Parties agree that the nature of Cosmetic Perks relationship to Member is to provide access to a platform for discounted cosmetic services offered by Providers which may be selected at Member’s sole discretion. Cosmetic Perks does not in any way provide medical services and is not an insurance product. Cosmetic Perks provides a Directory (defined herein) whereby Member may select a Provider of her/her choice and make her/his own informed decision as to the selection of a Provider and the services to be performed by the selected Provider. 5. Cosmetic Perks Obligations. Cosmetic Perks shall for the Term of the Agreement, grant Member access to the web-based software platform (“Directory”). Cosmetic Perks shall maintain its Network to ensure that the following information for participating Providers is made available on the Directory: (i) name; (ii) location; (iii) overview of services provided; and (iv) discounts offered by the provider. Rates, services and discounts are solely at the discretion of Providers. Providers are solely responsible to update their information on the Directory and to provide accurate information regarding their services and discounted rates. Cosmetic Perks is not responsible for the content published by Providers and does not guarantee any particular percentage of discount or the availability of any particular service, except to the extent that Provider shall offer a discount of at least twenty percent off its/her/his published process in select categories of elective cosmetic services. The Provider Network, services and discounted rates are subject to change at any time. It is the responsibility of the Provider to post changes to the website and all changes are effective immediately upon posting without further notice to Member. However, Cosmetic Perks cannot guarantee that the information on rates, services and discounts posted by Providers on the website will be accurate or current. Member shall be responsible to contact their Provider directly to confirm the information provided before agreeing to accept any service. 6. Member Obligations. Member shall show Provider a current Membership card or provide a current Member account number so that Provider may verify current enrollment prior to providing any Service. Member shall further confirm all information with his/her Provider, including without limitation, the Member’s understanding of the Provider’s rates and discounts, prior to agreeing to accept any service and shall seek and rely solely upon the independent advice of appropriate medical professionals prior to undergoing any medical and/or cosmetic treatment services. Member shall update his/her Member profile in Cosmetic Perks records as any payment and/or other information changes or updates. 6.1. Not Insurance. Member acknowledges that Cosmetic Perks does not offer or provide insurance and that this Agreement is not intended to provide insurance coverage. Member is agreeing to pay a monthly or annual fee in exchange for access to information regarding discounts to certain healthcare services. Member also acknowledges that Cosmetic Perks does not screen Providers and does not guarantee or warrant outcomes from services rendered. It is Member’s responsibility to thoroughly check the background of the Provider before agreeing to accept any services. 6.2. Not Medical Services. Member acknowledges that Cosmetic Perks does not provide information or access to any care, service, or treatment of illness or dysfunction of, or injury to, the human body, including, but not limited to, physician care, inpatient care, hospital surgical services, emergency services, ambulance services, dental care services, vision care services, mental health services, substance abuse services, chiropractic services, podiatric care services, laboratory services, and medical equipment and supplies. 7.1. Either Party may terminate this Agreement with or without cause, or without stating a cause, upon the other Party’s receipt of Notice as required herein. 7.2. If Member is enrolled under a Section 2.2.1 Employer Code this Agreement will terminate automatically upon the termination of the Employer Group Agreement, non-payment by the Employer Group of any fee for Member access to the Cosmetic Perks Network or upon Member’s disenrollment, for any reason including termination of employment, from the Employer Group. In the event this Agreement is terminated pursuant to this Section, Member shall be entitled to elect conversion of his/her Membership to an Individual Fee agreement by selecting an Individual payment option under Section 2.2.2 or 2.2.3. 8.1. Cosmetic Perks shall immediately terminate Member’s discount identification number and ability to access the Directory. Cosmetic Perks shall immediately notify any Provider who verified Member’s membership in the Cosmetic Perks Network that the Member has terminated the relationship between the Parties. 8.2. Where the Member selected the payment option under Section 2.2.2 (Discounted Annual Fee), and the annual Fee is considered paid in full at the time of execution of this Agreement, no prorated amount shall be refunded to Member. 8.3. Where the Member selected the payment method indicated in Section 2.2.3 (Pay-As-You-Go), Member payment obligations shall terminate at the expiration of the month that termination occurs. For example, if a party terminates on November 15th, the Member is obligated to pay through the month of November. Since the Member pays the Fee at the outset of each month, no further payments are due. No prorated monthly amount shall be refunded. 8.4. The covenants contained in Sections 1, 8, 9, 10 and 13 shall survive the termination or expiration of this Agreement for any or no reason. 9.1. Legal Authority. Member hereby represents and warrants that he/she has the legal authority to agree to this Agreement, and that he/she FULLY UNDERSTANDS AND AGREES to the terms of the Agreement, and that the Agreement will apply to the Member, his/her heirs, personal representatives, executors, and assigns. Member understands that the terms of this Section are a condition to and in consideration of the Agreement. Member hereby represents and warrants that he/she is at least eighteen (18) years of age and of sound mind and body, and he/she is capable of giving this release on his/her behalf. Member understands that, among other risks, there may be substantial risk of injury or death to person and property associated with medical care. Member further understands and acknowledges that COSMETIC Perks IS NOT A PROVIDER OF MEDICAL SERVICES and that Member is responsible for independently screening and selecting a Provider. 9.2. Member acknowledges that injuries related to medical and/or cosmetic treatment may be catastrophic, including, but not limited to, disfigurement, paralysis, and death. Member further understands that he/she should discuss any and all associated risks of any given medical treatment with an appropriately licensed medical provider. MEMBER KNOWINGLY AND FREELY ACCEPTS AND ASSUMES THE RISK ASSOCIATED WITH ANY SERVICES HE/SHE RECEIVES ON BEHALF OF HIS/HERSELF AND EACH OF HIS/HER HEIRS, PERSONAL REPRESENTATIVES, EXECUTORS, AND ASSIGNS. MEMBER HEREBY AGREES TO RELEASE, INDEMNIFY AND HOLD HARMLESS COSMETIC Perks AND COSMETIC Perks’ AFFILIATES, PARTNERS, MEMBERS, SHAREHOLDERS, OFFICERS, DIRECTORS, AND EMPLOYEES (HEREINAFTER INDIVIDUALLY AND COLLECTIVELY REFERRED TO AS THE “RELEASEES”) WITH RESPECT TO ANY AND ALL INJURY, DISABILITY, DEATH, OR DAMAGE TO PERSON, PROPERTY OR REPUTATION RELATING TO HIS/HER RECEIPT OF MEDICAL AND/OR COSMETIC SERVICES FROM ANY PARTICIPANT IN THE COSMETIC PLAN NETWORK, WHETHER ARISING FROM THE NEGLIGENCE OF ONE OR MORE OF THE RELEASEES, THIRD PARTIES, OR OTHERWISE, TO THE FULLEST EXTENT PERMITTED BY APPLICABLE LAW. 10. Disclaimer of Warranties. COSMETIC Perks MAKES NO WARRANTY THAT THE SERVICES PROVIDED BY IT OR BY ANY OF THE PROVIDERS ON THE COSMETIC Perks NETWORK, WILL BE SAFE, SECURE OR ERROR FREE AND EXPRESSLY DISCLAIMS ALL WARRANTIES OF ANY KIND, EXPRESS OR IMPLIED, INCLUDING WITHOUT LIMITATION ANY WARRANTY OF MERCHANTABILITY, FITNESS FOR A PARTICULAR PURPOSE OR NON-INFRINGEMENT. 11. Indemnification. Member agrees to indemnify, hold harmless and defend Cosmetic Perks from and against any and all third-party claims, suits and actions and all related damages, settlements, losses, liabilities, costs and expenses, including without limitation, reasonable attorneys’ fees (collectively “Liabilities”) which Cosmetic Perks may sustain or incur, to the extent such Liabilities result from the acts or omissions of any third party, Member’s use of the website, Member’s access to Provider services under this Agreement, Member’s breach of this Agreement or the negligence or willful misconduct of Member. 12. romissions of any third party, Member’s use of the website, Member’s access to Provider services under this Agreement, Member’s breach of this Agreement or the negligence or willful misconduct of Member. 13.1. Member understands that the nature of the Agreement between Cosmetic Perks and him/her may result in the collection of certain information that is private and confidential including Member’s name, address, date of birth, social security number and other demographic information necessary for Cosmetic Perks to administer the website, the Network and Member billing. Additionally, Cosmetic Perks may collect information regarding Member’s use of the website and the Network to permit Cosmetic Perks to improve the website, the Network and Member’s experience. Such information may be transmitted via writing, verbal, or electronic means of communication and may be used by Cosmetic Perks for billing, website and Network administration and for other purposes consistent with the purpose of this Agreement. COSMETIC Perks WILL NOT DISCLOSE MEMBER’S NAME, SOCIAL SECURITY NUMBER OR OTHER INFORMATION THAT COULD BE USED TO PERSONALLY IDENTIFY MEMBER TO ANY THIRD PARTY WITHOUT MEMBER’S SEPARATE WRITTEN AUTHORIZATION AND CONSENT. 14. Notices. Member consents that all Notices provided hereunder shall be made electronically via email as provided on the Cosmetic Perks website and shall be deemed to have been given at the time when such communication is sent provided sender retains a copy with proof of email receipt. 15. Assignment. The Member may not assign its rights or obligations under this Agreement. 16. Entire Agreement. This Agreement contains the complete, full and exclusive understanding of the Member and Cosmetic Perks with respect to the services offered, and supersedes any and all other oral or written agreements between the Parties in that regard. 17. Electronic Signature. Member has read the E-Sign Act and Disclosure Agreement and consents to use Electronic Records and Signatures with Cosmetic Perks, LLC. Member shall acknowledge their agreement to the Terms and Conditions of this Agreement by clicking the ENROLL NOW button and in doing so Member accepts that such online enrollment shall have the same legally binding force and effect as a manual signature to this Agreement. 18. Successors. This Agreement shall be binding upon, and inure to the benefit of, the Parties and their permitted successors and assigns. 19. Amendments. Member may not amend this Agreement. Cosmetic Perks has the sole right to update the terms and conditions of the Agreement. Member shall agree to the updated terms and conditions as a condition to continued membership in Cosmetic Perks. 20. Severability. The invalidity or unenforceability of any particular provision of this Agreement shall not affect the other provisions hereof, and this Agreement shall be construed in all respects as if such invalid or unenforceable provision were omitted, unless to do so would result in either Party not receiving the benefit of its bargain. 21. Governing Law/Venue. This Agreement shall be interpreted pursuant to and enforced under the laws of the State of Florida, without giving effect to statutes and principles affecting choice or conflicts of law. Each party hereby irrevocably agrees that any legal action or proceeding against it arising out of this Agreement or the transactions contemplated hereby shall be brought only in Miami-Dade County, Florida. 22. No Waivers. The waiver of any Party of a breach of any provision of this Agreement shall not operate as or be construed to be a waiver of any other breach of such provision or of any breach of any other provision of this Agreement. The failure of any Party to insist upon strict adherence to any term of this Agreement shall not constitute a waiver by such Party to require at some subsequent time strict adherence to such term. Any waiver must be in writing and signed by the person or Party against whom charged. 23. Costs and Attorney’s Fees. The Party that prevails in any dispute arising from this Agreement shall be entitled to recover all costs of such proceeding, including but not limited to reasonable attorneys’ fees. 24. Force Majeure. Neither Party shall be deemed to be in default of this Agreement if prevented from performing any obligation hereunder for any reason beyond its control, including but not limited to acts of god, war, riot, fire, flood, casualty, labor shortages or union strikes; however, financial inability shall not be considered a matter that is beyond a Party’s control. In the event a Party cannot, or anticipates not being able to, perform its obligations due to a reason beyond its control, that Party shall give notice to the other Party as soon as possible under the circumstances. 25. Authority to Contract. Each Party represents and warrants that he/she or it, as the case may be, is authorized to enter into this Agreement and to be bound by the terms of it. Moreover, each Party represents that he/she/it is not violating another agreement by entering into this Agreement. I understand that clicking “I AGREE” constitutes a legal signature. By doing the same, and selecting the appropriate fee option, I am confirming that I acknowledge and agree to the Terms and Conditions of Enrollment as a Member in the Cosmetic Perks Network and I consent to use Electronic Records and Signatures with Cosmetic Perks, LLC.